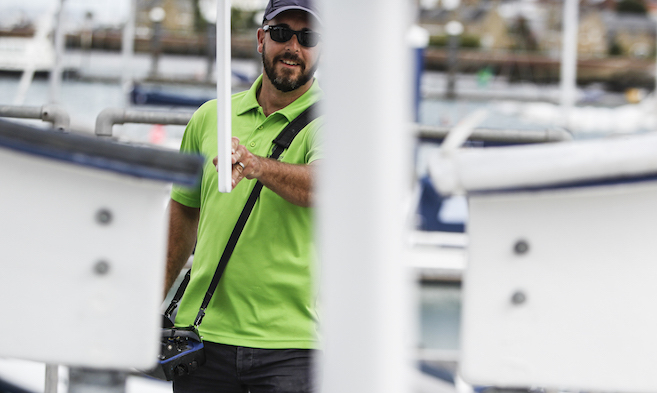 Home to a variety of day class vessels, motorboats and RIBs, a 7 days-a-week Dry Sailing service is the focal point of shoreside operations at Cowes Harbour Shepards Marina. We have a marina basin for the exclusive use of our Dry Sailing clients with wet berthing included in Dry Sailing Packages. Our state-of-the-art hydraulic marine crane has a launch capacity of 6 tonnes. 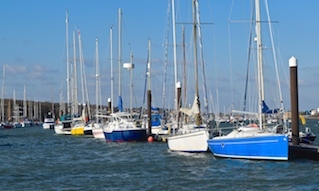 Shepards Marina offers flexible annual and seasonal Dry Sailing packages to suit your sailing requirements and we have a dedicated Dry Sailing team to look after your vessels. Why choose Dry Sailing at Shepards Marina? 7 months Complete Dry Sailing Package, April to October, incl. Cowes Week. 5 months Winter Storage, November to March. 12 months unlimited launch and recovery with fresh water power wash.
Inclusive wet berthing for package vessel, incl. Cowes Week. 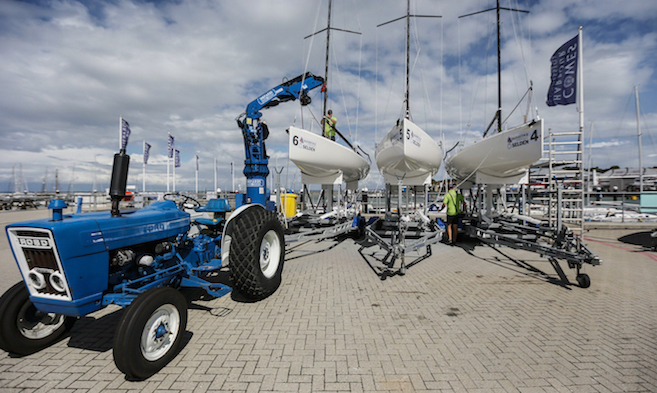 Unlimited launch and recovery with fresh water power wash.
7 months storage and wet berthing, incl. 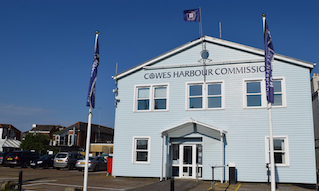 Cowes Week. Launch and recovery on request with fresh water power wash, at discounted rates. A minimum of 6 lifts, washes and launches to be booked and paid for to ensure good maintenance of vessel. 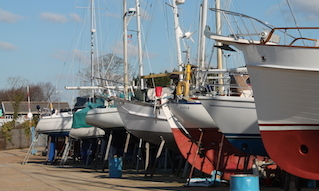 Dry Sailing package prices for fleets are available on request.